Sign up at door for a chance to, “Throw out the First Ball”. Champagne divot stomp at halftime. Trophy presentation and door prizes by St. Regis, including best dressed gent contest! Champagne divot stomp at halftime. Enter the drawing for a complimentary polo lesson. Join the mallet swing contest at half time and the champagne divot stomp! Trophy presentation by Land Rover Houston Central. See the latest Range Rover models during the polo parade and on the field at halftime. Participate in the mallet swing contest and champagne divot stomp at halftime. Special Mother’s Day match, best hat contest, trophy presentation and door prizes by Hublot. Reserve a box by the day which includes seating for six and a waiter! Meet the Milagro Teguila representatives. Take a “spin” on the Milagro Tequila blender bike! Join us at halftime for the mallet swing contest and champagne divot stomp. Trophy presentation and door prizes by Jet Linx. Meet the Jet Linx crew! Halftime mallet swing contest and champagne divot stomp. Trophy presentation and Gift Card give away by Ruth’s Chris Steak House, the official concession of the Houston Polo Club. Join us at halftime for the mallet swing contest and champagne divot stomp. Drawing for a complimentary polo lesson. Experience the champagne divot stomp and special trophy presentation by the presenting sponsor. Special trophy presentation and door prize giveaways. Opening day! Welcome to the 2017 Fall season. Best dressed contest. Halftime mallet swing contest and champagne divot stomp. Unleash the cats! View the latest Jaguar models on the field at halftime, and meet the Jaguar representatives. Door prizes and special trophy presentation by Jaguar Houston Central. Special trophy presentation by Intercontinental Chamber of Commerce. Best men’s hat contest! Halftime mallet swing contest and champagne divot stomp. Sponsor door prize giveaway and special trophy presentation. Halftime mallet swing contest and champagne divot stomp. Special sponsor trophy presentation. Halftime mallet swing contest and champagne divot stomp. Special trophy presentation by Jetlinx. Meet the Jetlix crew! Halftime mallet swing contest and champagne divot stomp. Meet the Hendrick’s Gin Ambassadors! Most peculiar hat contest. Candy toss and champagne divot stomp at halftime. Best boots contest. 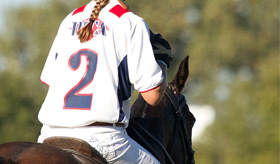 Enter to win a complimentary polo lesson. Mallet swing contest and champagne divot stomp and halftime.